All participants can register by using the Online Registration Form. Please note that: • No Registration Form will be accepted unless accompanied by proof of full payment (copy of bank remittance) sent by email or fax to the Organizing-Administrative Bureau/Secretariat. The preferred payment method for all transactions for the Conference is online payment by credit card. For security reasons, payment by credit card is being made online through DeltaPAY system (Alpha Bank’s secure transaction service). Α copy of the bank remittance should be sent by e-mail (info@conferre.gr) or fax (+30 26510 68611) no later than 5 days after our receiving of the Registration Form. In case of cancellation, refunds will be settled within 30 days from the end of the Conference. All cancellations and/or amendments have to be sent written to Conferre SA. No telephone cancellations and/or amendments will be accepted. 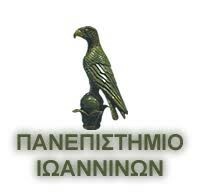 In the case of government intervention or regulation, military activity, strikes or any other circumstances that make it impossible or inadvisable for the 12th Hellenic Polymer Society International Conference 2018 to take place at the time and place as announced, the participant shall waive any claim for damages or compensation except the amount paid for registration after deduction of actual expenses incurred in connection with the conference and there shall be no future liability for either party. Receipts and invoices for registrations will be mailed to participants after the Conference (upon request). No receipts or invoices will be sent in advance. Please follow the instructions as mentioned above before completing the Registration Form.